"In Search of the Enemy of Man"
How can you and your family learn about birds and contribute to science at the same time? By participating in the Great Backyard Bird Count of 2019! All you need is 15 minutes and a window, but if you're feeling more adventurous, get outside on a trail! Join this annual, global event by piocking up a packet at the Library! Also coming soon: bird-watching kits to check out! We transform the Community room into a movie theater most Friday afternoons for free flicks! Join us! Movie ratings and contents may vary. Not all movies will be suitable for all audiences. Closed captioning provided. 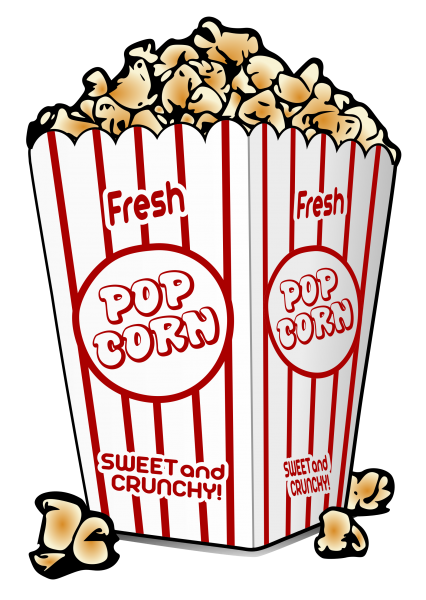 Click HERE for this month's movie matinee schedule. The Crochet Club is a fun evening of crocheting and community. This club meets in the Heritage Room and all levels of crochet abilities are weclome! This popular documentary and discussion series is an awesome way to meet new poeple and learn something new! Join us at 1:00 p.m. on the third Tuesday of every month to view and discuss documentaries about culture, history, and politics. Call (262) 754-1815 to register. A Memory Café is a social gathering for those who are experiencing early stage dementia, mild memory loss or mild cognitive impairment, and a family member or care partner. The Café is a place to have fun, find support, and share experiences. Memory Cafés are being held monthly on Tuesdays at four public libraries in Milwaukee and Waukesha Counties. Click here to learn more about the Library Memory Project. Do you enjoy talking about the books you read? The New Berlin Public Library offers an array of book discussion groups. Click the book club for a list of past titles! Please contact the Adult Reference desk at 262-785-4980 if you are interested in joining one of the book clubs or for specific title information. The New Berlin Public Library provides home delivery of materials to patrons who are not able to visit the library in person. This service is provided for those cardholders with residency in New Berlin who are confined due to illness, age, disability or other qualifying circumstance. To have the Library come discuss the Home Delivery Program to your organization, please contact Natalie at 262-754-1819.